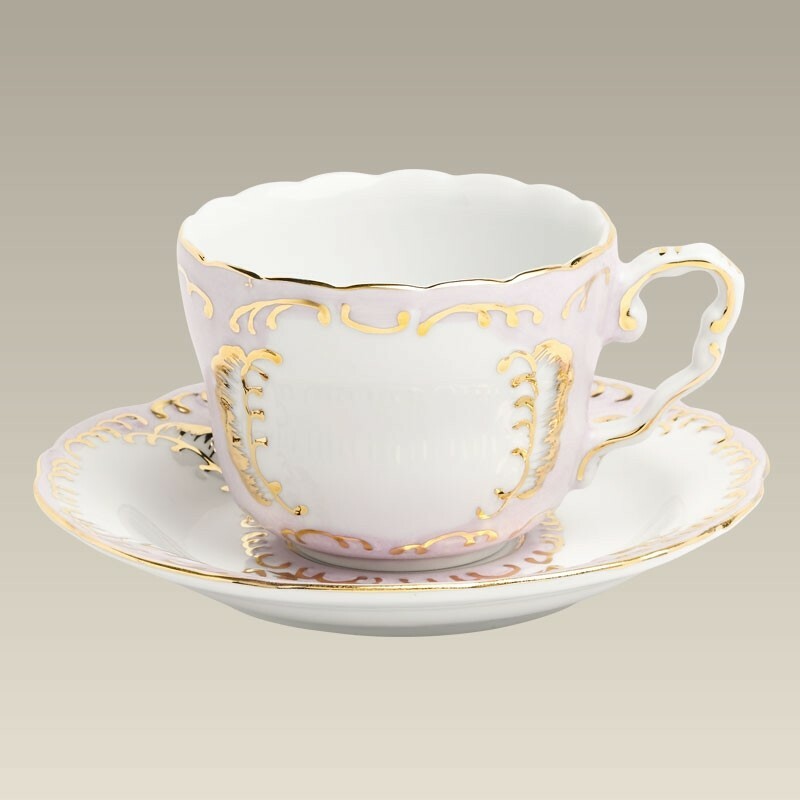 These are beautiful hand painted antique shaped porcelain cups and saucers with pink Sevres backgrounds and hand applied gold trim. 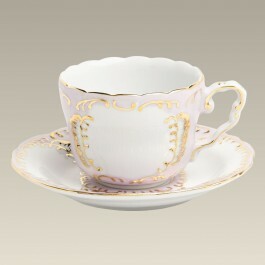 The eight ounce cups are 3 5/8" across and 2.75" high and the saucer measures 6 1/4". Made in China, not dishwasher or microwave safe.